A complimentary home water test from RainSoft is the first step toward better water in your home in Richmond, Virginia. It’s also your chance to know, at no cost to you, what’s in the water that your family drinks, bathes in, and depends on for countless everyday activities. This valuable home water test is available whether your household water comes from a private well or municipal supply. That’s because RainSoft, a longtime leader in the residential water treatment industry, believes that even good water can be made better through a variety of treatment systems specifically designed to address the water quality needs of a 21st century household. 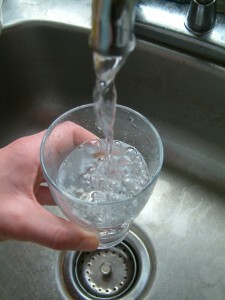 And it all begins when you schedule a home water test for your home in the Richmond, VA area. Those are just a few of the common household water quality problems RainSoft has been helping homeowners solve since 1953. Moreover, our water treatment systems have been Tested and Certified by the Water Quality Association and carry a Limited Lifetime Warranty, so you’ll have confidence in the high quality and reliability of our products. So take the first step to better water with a complimentary home water test for your home in Richmond, VA. Contact RainSoft today to schedule the test at a time that’s convenient for you.